THIS WOULD BE A GOOD TIME TO BAKE SOMETHING YUMMY! That could rescue the mood, for sure. Surely our hard-done-by sleuth can hold off the bad guy a bit longer while I whip up something sweet and satisfying in the kitchen. But what to bake? Our favorite chocolate mousse cake? We like to save that for birthdays. No birthdays here this month. Pumpkin swirl cheesecake!!! 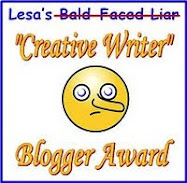 Oops, Better wait, That's a tradition for Thanksgiving. Chocolate cinnamon loaves would do the trick: easy and fragrant! But we like to keep those for Christmas. We make them for gifts, unless we can't resist them ourselves. Cupcakes again? Been there. Done that. Whatever it is I end up baking, am I so wrong to want to pilfer Lorraine's chocolate pot to go with it? 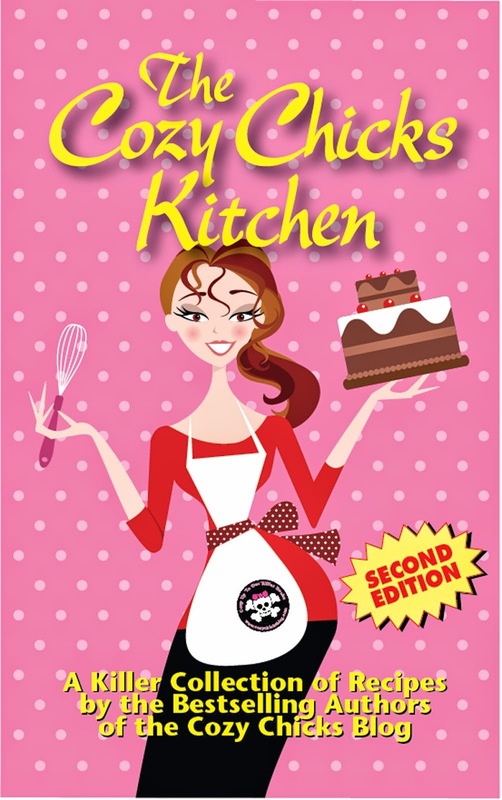 Maybe I’ll take peek at The Cozy Chicks Kitchen, Second Edition, and find just the right recipe. 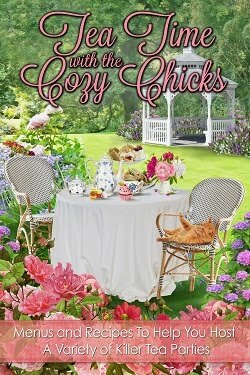 I love the cozy mysteries from all the chicks and I love their recipes too. I was thrilled to be part of the revised edition this year and I have my own copy, but if you don’t, you could download one right now! It’s easier than pie. What about you? Do your thoughts turn to baking on a dark and dreary day? Do you have a favorite recipe that cheers you up? Have you tried our cookbook? Hi! I've been faithfully (well, for the last 3 weeks at least) baking my own sandwich bread and I'm down to one slice of the last loaf so I'll need to make another one tonight. I love the smell of baking bread! On cold rainy days I love to cook a huge pot of chicken and sausage gumbo. Of coarse, we haven't had a day cold enough yet this fall here in South Louisiana for me to cook gumbo, lol. I agree, Nicole. I think it's one of the best smells in the world. Good for you, baking your own. Gumbo sounds wonderful, Annette. Enjoy your nice weather. We've had a number of frosts here already. Hey, maybe gumbo's our answer. Pumpkin spice bread sounds amazing. Must go find that recipe right now. Glad you love the cookbook. I have just a dog at this time. He is a Lhaso Also. He sleeps on my bed and wants to eat what I eat. My grandkids are all teenaged and too big to be my babies so Snickers is my baby. I've had him for 9 years and hope to have him 9 more. Our dachshunds are our babies - we like cats, but we LOVE dogs. So lovely that you have Snickers.